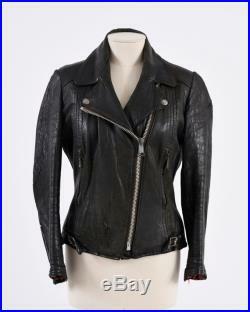 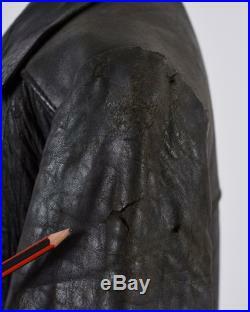 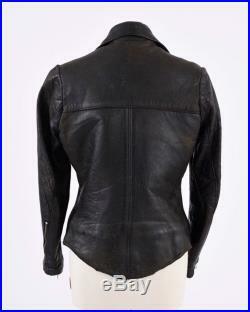 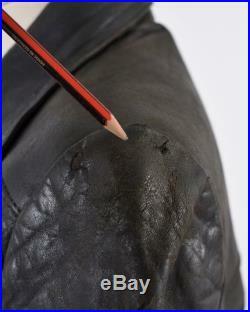 This 1960s motorcycle jacket is in a black leather with white leather details. 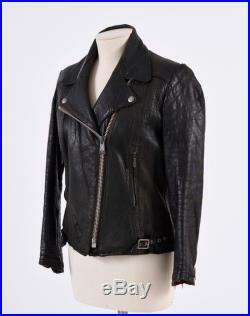 It has typical zip closure and pockets. 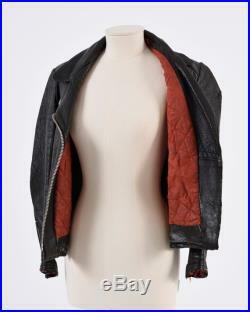 It's fully lined with red quilted satin. 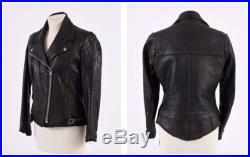 Good vintage conditionlabel: n/afabric: leathercolor: blackcode: cvm18.52.43measurement:estimeted size s/mshoulder 15,50 " / 39 cmbust 38 " / 96,50 cmwaist 32 / 81 cmsleeve 21 " / 53 cmtotal lenght 21 " / 53 cmplease take note that this is a vintage garment and in most cases has not been cleaned professionally in decades.